Many of us today have resorted to creating our own beauty products which involve a variety of essential oils that we know and love. However, did you know the awesome power of frankincense oil? Frankincense oil is actually one of the most effective oils that you could use, in fact, frankincense has been used religiously for years. Not only has this oil been used for years before, but has been used in natural health as well as aromatherapy. It is important to know the difference between frankincense oil and resin. The oil has a slight fruity, earthy, spicy, woody aroma, used for a calming and relaxing atmosphere. Frankincense oil has been said to be cleaner, fresher, and sweeter than frankincense resin. Now, why is it so good for you? Frankincense oil has the ability to speed up the secretion of gastric juices, acids, bile, and can even stimulate peristaltic motion as to allow for food to move properly throughout your intestines. Frankincense oil also has amazing antiseptic qualities that can help you with toothaches, mouth sores, bad breath, cavities, and a variety of other oral infections. Frankincense oil is also a wonderful oil to have lying around in case someone catches a cold. It can help break up phlegm deposits found in your respiratory tract including your lungs. 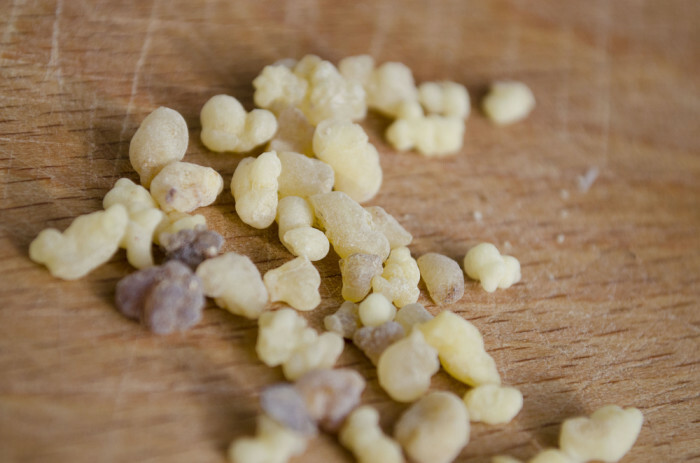 Frankincense oil can even help relieve those who are afflicted with bronchitis-related congestion. Whether you have regular arthritis or rheumatoid arthritis, frankincense oil can help you out. A study that was conducted by Cardiff University scientists, they were able to find that frankincense oil can be used to inhibit the production of key inflammatory molecules. This helps your body prevent breakdown of the cartilage tissue that can cause these kinds of conditions. So, as soon as you can, I would start looking up various frankincense recipes to start using today!